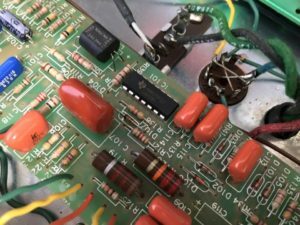 Desert Amplifier Repair has over 13 years of hands-on experience providing the finest musical electronics repair. 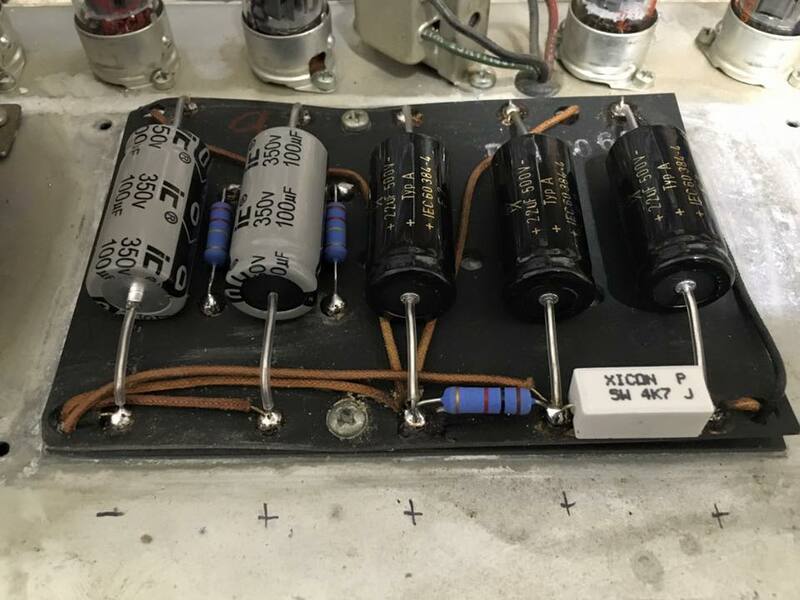 From vintage vacuum tube/valve amplifiers, to modern solid state amplifiers and effects pedals, Desert Amplifier Repair does it all. DAR is an authorized service center for many major manufacturers, including Marshall, Fender and Peavey. Click here to see the complete list of manufacturers that we are the authorized service center for. In addition to those great brands, Desert Amplifier Repair has earned the honor of being the only authorized Trainwreck Circuits service center in the world. Here at DAR we pride ourselves in transparency, so whenever possible any and all parts removed from your equipment are returned to you at the time of pick up. The exception to this is certain warranty repairs, due to the fact that the failed components are requested by the manufacturer for inspection. Desert Amplifier Repair is here to keep your equipment working and sounding as good, if not better, than new. We always let you know up front what needs to be done immediately, and what can wait until later. Our goal is to create long-term customers one at a time, not one-time high dollar sales. Our advertising is done solely by word-of-mouth and we pride ourselves in ensuring that each and every customer has a positive experience. 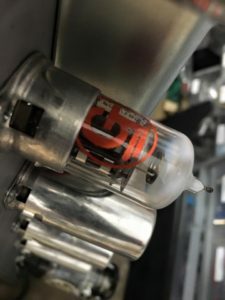 At the heart of any great tube amplifier is a good tube. We cut no corners on our tube testing, providing laboratory grade testing with an Amplitrex AT-1000 tube analyzer. Unlike others, we test tubes at actual operating voltages, so we know how the tube will respond in your amplifier. This means no surprises or bad tubes when you get your equipment back. 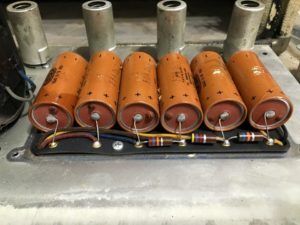 In addition to tubes, DAR has the equipment needed to test all the components in your circuits: resistors, capacitors, transformers, chokes, tubes, reverb tanks, and actual circuit function. This allows us to isolate and repair the problem without guesswork, saving downtime as well as money on parts you don’t need. 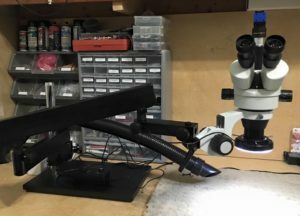 Desert Amplifier Repair is now equipped with a Laboratory grade triocular 3.5x-90x microscope for SMD (surface mount device) and SMT (surface mount technology) work. 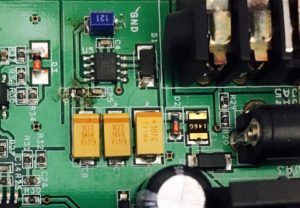 Additionally, DAR has all the ESD-approved (electrostatic discharge) equipment to safely and efficiently work on the newest generation of music equipment currently being manufactured, as well as older, through-hole PCB-style amplifiers. DAR takes pride in having the right tool for the job and the ability to always work safely on any type of equipment. 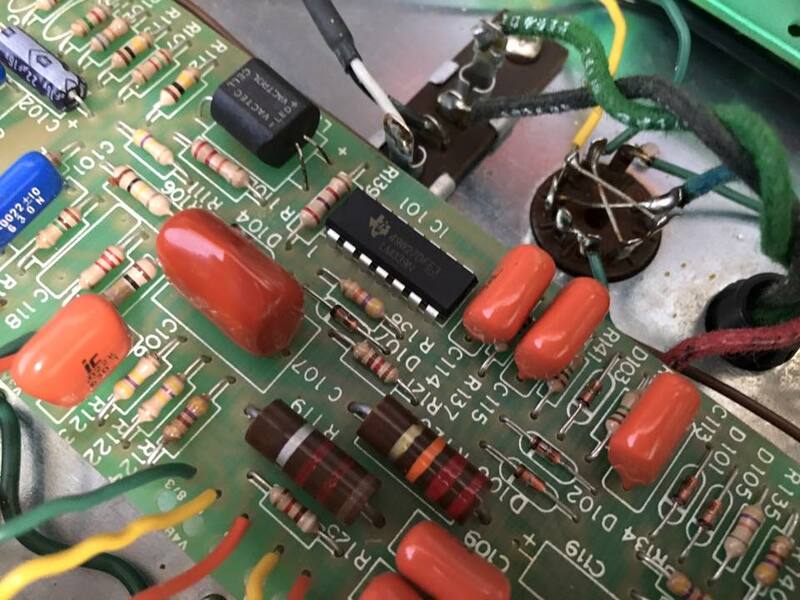 Desert Amplifier Repair is capable of fixing and modifying vintage as well as new effects pedals. Sometimes there are limitations involving obsolete or unobtainable parts, or the unattainable cost of certain sought after components, but oftentimes many of the vintage transistors are available in other, more readily available model numbers. We will always work with you to find the best solution that suits your needs. Every amplifier that comes into the shop goes through a detailed inspection. This inspection is documented and presented with each estimate. Each estimate will clearly state the issues discovered during inspection and the corrections needed, as well as an accurate estimate of the cost of repair. While it is rare, there are times during the process of repair where a larger issue is discovered. When that is this case, DAR will be contact you immediately to discuss the situation and, if needed, a new estimate will be created. DAR fixes the root of the problem, not just the failure. What this means to you is a reliable, trustworthy amplifier you can play, gig, or record with and spend your time, making music, not stressing about when your amp is going to act up. Most repairs come with a minimum 30 day quality of workmanship warranty. Warranty repairs come with the manufacturers warranty or DAR warranty, whichever is longer.